Shopping for winter boots can be fun, but at times it can also be quite frustrating. There are so many boots to choose from, which makes it difficult to decide. Here are some suggestions to help you make the right choice. One option is ankle boots. They not only will keep your feet warm, but are also quite trendy. You can easily match a pair of ankle boots with your favorite jeans or with pretty much any winter dress. Pick a pair with high or low heels, depending on what’s comfortable for you, and combine with skinny jeans or a tight, wool dress. Another option would be a pair of thigh-high leather boots. The may have high or low heels, so choose according to your personal style. 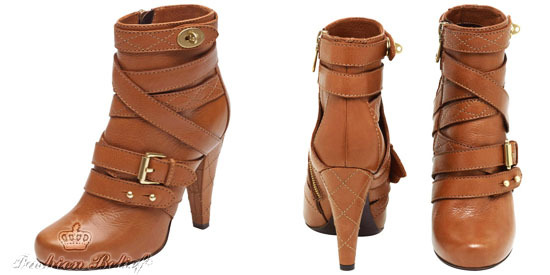 Low-heeled boots have a more casual look, while high heels are more elegant and stylish. 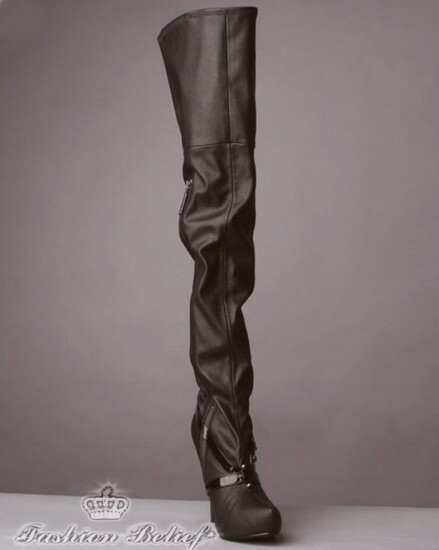 Keep in mind that thigh-high boots look better on tall women, with long legs. 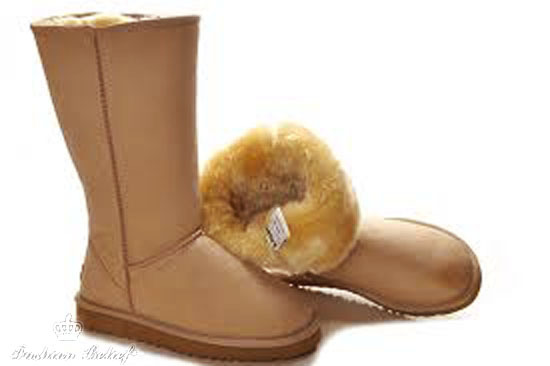 Probably the most popular type of boots in recent years, is the flat boots, with Ugg being the most fashionable. They are made from sheep skin and keep you warm. These flat boots are stylish and can be combined with most winter outfits. Ugg boots are great for snow weather. Faux-fur boots are popular among women of all ages. They are very comfortable and elegant at the same time. 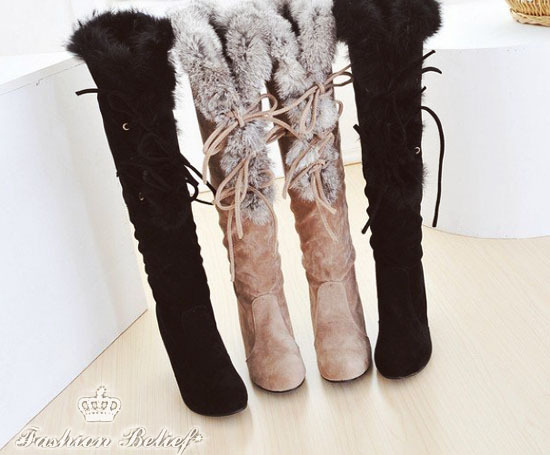 Faux-fur boots come in a variety of colors and designs and the well-placed fluff can keep you warm in the cold winter days. We do realize that with the approaching winter, you are bombarded with ads and tips about women’s winter boots, which can be a bit overwhelming. Simply choose the ones that match your personal style and needs, and keep in mind that winter boots must be comfortable and keep your feet warm and dry.